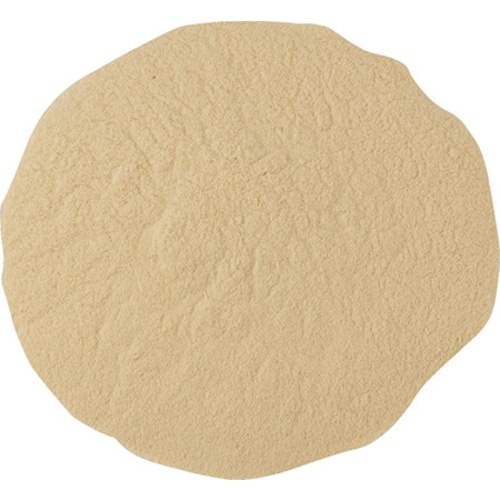 Noblesse is an inactive yeast product which improves body, color stability, and mouthfeel in red and white wines. Like Opti Red or Booster Rouge, using Noblesse in the must makes polysaccharides available to complex with polyphenols as soon as they are released. This early complexing results in red wines with more intense color, rounder mouthfeel and better tannin integration. Use in conjunction with Lallzyme EX for best results. The effect of using Noblesse in the must is very balanced and falls in between the soft roundness of Opti Red and the structural intensity you get from Booster Rouge. Use at the rate of 1 gram per gallon of red wine. Dilute Noblesse in 4 times it weight of water or must and add at beginning of fermentation. Note: Noblesse is also the best inactivated yeast product at adsorbing ochratoxin, copper residues and off-sulfur compounds! Use it where you normally use yeast hulls during an active fermentation (0.5 to 1 g/gal). A rough approximate of weight is 1 tsp = 2.9 grams. We highly recommend using a scale to weigh the product for an accurate dose. We do not recommend relying on these rough conversions for accurate dosage rates. I like it. Scott Labs recommended it to me, and advised that I buy the small quantities that I need from More Flavors. I used this product in a bunch of ciders this year. I like them dry and this helps with the body and perceived sweetness. I also use it to reduce sulphur problems, though I'm not convinced it works as well as fermaid O in that regard. Used during early stages of fermentation of 18L Chard kit with Lalvin CY3079 yeast to greatly reduce the H2S smell. Probably removed around 80-90% of smell in 24 hours. Will use again.